His bachelor days are over! 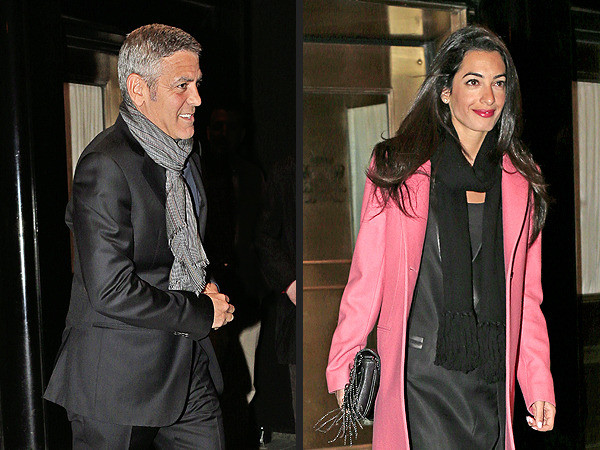 George Clooney and Amal Alamuddin are engaged. The engagement happened “not that long ago, I think,” the source adds, and the couple don’t appear to have wedding plans in the works – yet. For actors and politicians muslim women are hot. Is Clooney considering politics? Is Alamuddin getting a Weiner. This entry was posted on April 27, 2014 at 7:35 am and is filed under Uncategorized. You can follow any responses to this entry through the RSS 2.0 feed. You can leave a response, or trackback from your own site.